Zalman the Korean manufacture, well known for its computer cooling devices, is now looking to enter the graphic card market, selling its own creations in a partnership with AMD. According to recently leaked slides from the Overclockers.ua website. 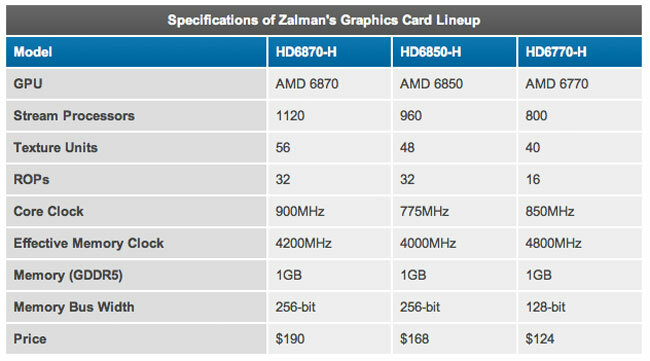 The new Zalman range of graphic cards will initially include AMD 6870, 6850, and 6770 all equipped with Zalman coolers. As you can see below all the cards come running stock frequencies, but being equipped with Zalman cooling you can expect to be able to tweak the cards, to get a little more than just stock, when they are officially released. 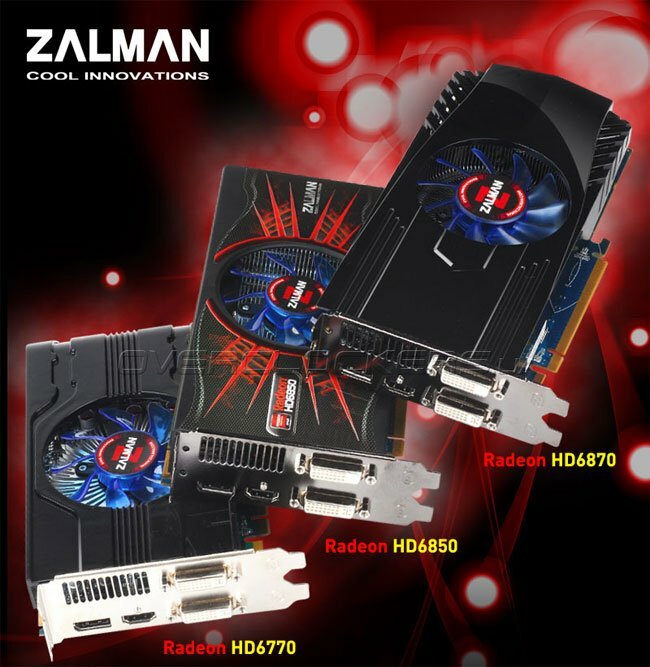 Zalman will start shipping their new graphics card line-up on December 13th.